Oh Sandy can’t you see I am in misery! As everyone on the East Coast is panicking and preparing for Hurricane Sandy I am reminded of John Travolta’s words. Words which might prove to be prophetic and we all might be crying them on Monday and Tuesday. There is so much hype I am having a hard time distinguishing between the hype and the facts. I have been in big denial the last few days over this storm. Laughing at the people who are running out buying generators, water and stocking up on batteries. However, I am starting to get a little panicked. And I am beginning to feel a little like the grasshopper who laughed at the ants. The call just came in that school is closed tomorrow. Mayor Bloomberg is shutting down the NYC subways and trains at 7 pm tonight. The Board of Ed. has closed NY City Schools tomorrow as well. These are things that I have rarely seen happen in my lifetime. LIPA, Long Island Power Authority has been calling and leaving messages about predicted power outages. We have been informed to expect to be without power for 7-10 days. The Town Supervisor has even called to warn people to be prepared and even to evacuate coastal areas. States of Emergency are being declared. The weather service is predicting the wind gusts will be 60-80 miles per hour! Insane! All of this has pushed me completely out of denial and has landed me firmly into panic mode. 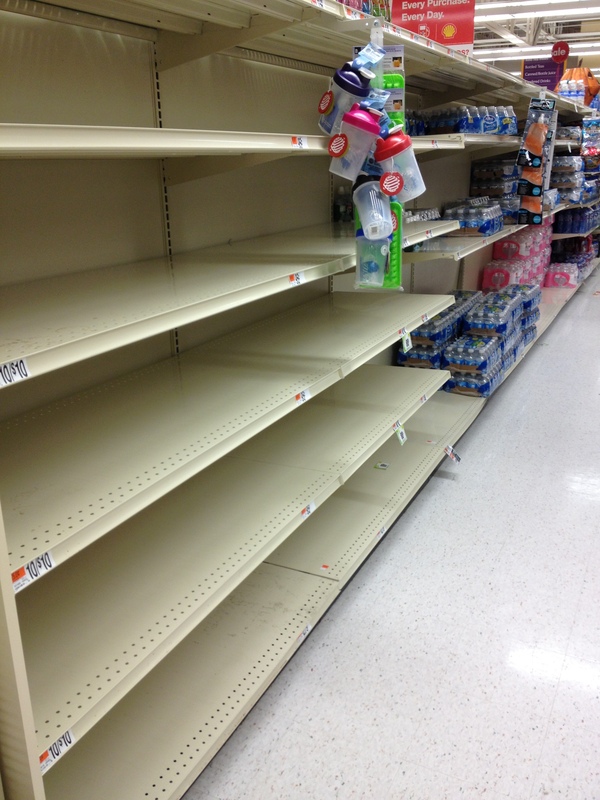 I did some shopping yesterday I have no water- they were already out yesterday morning at my local Stop & Shop. Yoo Hoo and Kool-Aid Jammers will have to do. I have no generator but I do have flashlights and candles- Thank you PartyLite. Of course soccer is still on for today, so battening down the hatches will have to wait until after the game. After Hurricane Irene I did learn a good tip. Fill ziploc bags with water and put them in your freezer. If your power goes out you have big blocks of ice that will keep your food cold for a longer time. Hopefully long enough until the power comes back on. 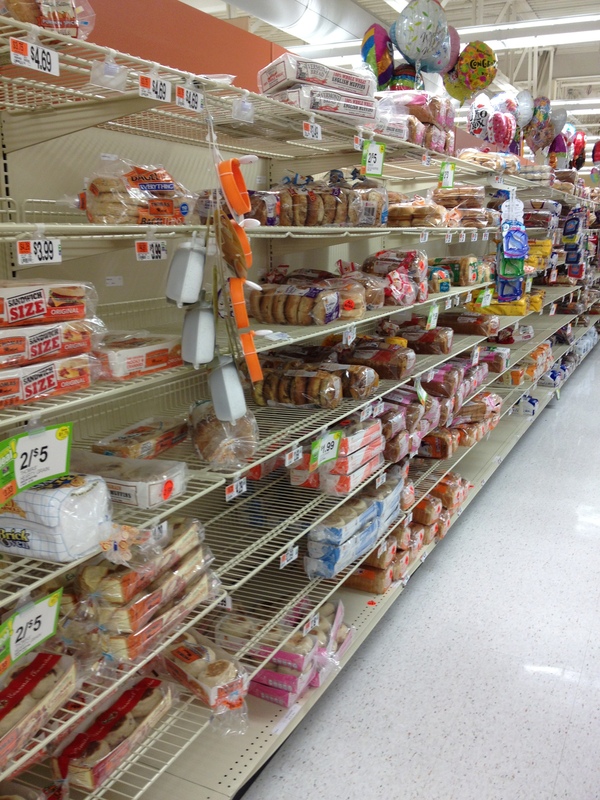 So I suppose we will have to wait and see what Sandy has in store for us. I hope everyone stays safe and sound. Off to watch some Hurricane Sandy soccer… I hope we don’t blow away! This entry was posted in Community, Family, Life and tagged Hurricane, Hurricane Irene, Hurricane Prepardeness, Hurricane Sandy, John Travolta, Long Island Power Authority, Sandy, weather, wind gusts, Yoo Hoo. Bookmark the permalink. Stay safe and enjoy some family time! Thanks so much! I am hoping it’s not as bad as the news coverage would have us believe. Only time will tell.